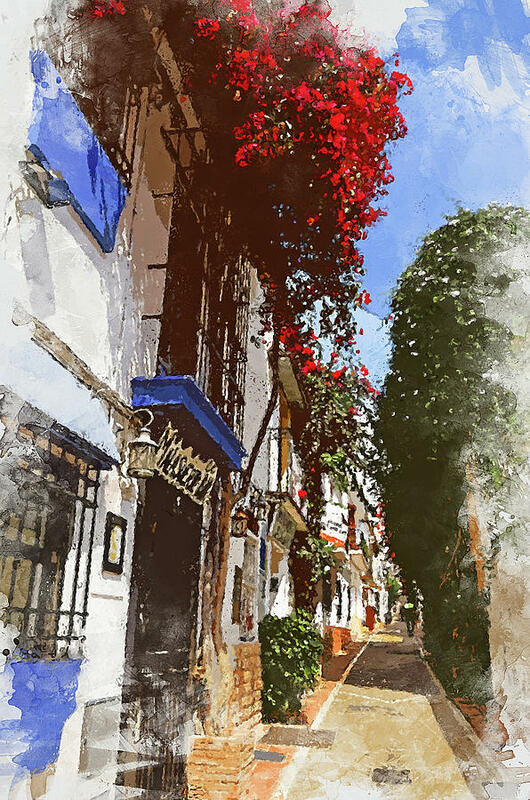 Marbella, Andalusia - 05 is a painting by Andrea Mazzocchetti which was uploaded on September 2nd, 2018. 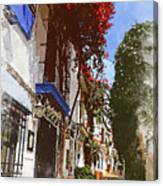 Marbella is a Spanish municipality of 136.079 inhabitants located in the autonomous community of Andalusia. Surrounded by the Mediterranean Sea and located halfway between Malaga and Gibraltar, Marbella is an important seaside resort. 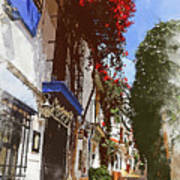 It is one of the most renowned places on the Costa del Sol. 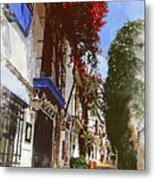 In 2012, the city's population was estimated at 140.873, making it the second most populated municipality in the province of Malaga and the eighth of Andalusia. It is one of the most important tourist cities of the Costa del Sol and has been an international attraction for many years thanks to the numerous tourist infrastructures. The city also boasts a significant archaeological heritage, many museums and exhibition spaces, as well as a cultural calendar with events that can range from reggae concerts to operas. It was an Islamic possession, and it is at this time that go back the castle, the walls and even the name, which in fact derives from the Arab Marbil-la. In 1485, the Spaniards regained the city. There are no comments for Marbella, Andalusia - 05. Click here to post the first comment.